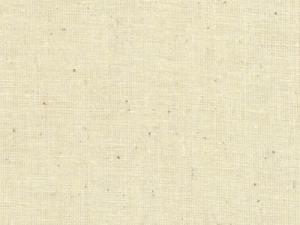 Roc-lon® “LL” ™ Utility Muslin Economy at it's Best 100% Cotton, 50 yard pieces, 37/38" Wide Bleached. Billable transportation charges for freight intensive items will be the greater of the dimensional weight compared to the actual weight. In addition to transportation charges, freight carriers may assess an additional oversize charge per package. Muslin fabric is practical and versatile. Muslin is a woven cotton fabric that has been used for centuries. In theater, it can be used for painted backdrops, curtains, and much more. Muslin is also used as a background by photographers. Muslin fabric is a staple for sewers. Muslin is used to make pattern slopers, which are practice garments made prior to the cutting out of the final garment. The intended wearer tries on the Muslin sloper and the sewer makes the necessary fitting adjustments. Quilters also love Muslin. It is great for quilt and comforter backs. Muslin also makes causal tote bags and re-useable grocery bags. It is excellent for appliance covers and sewing machine covers. These fabrics do not meet US Department of Commerce Standards Doc 33-FF-71 or FF-7-74 for flammability of children's sleepwear and are not intended for use in children’s sleepwear or related items. Machingers Quilting Gloves by Quilter's Touch were made with the quilter in mind. Soft, flexible fingertip grip gives full control with less resistance and drag on fabric. The form-fitting design allows your customers to change threads and remove/add pins without taking the gloves off!